It’s a crow, well most of a crow, I got bored of shading feathers very fast. 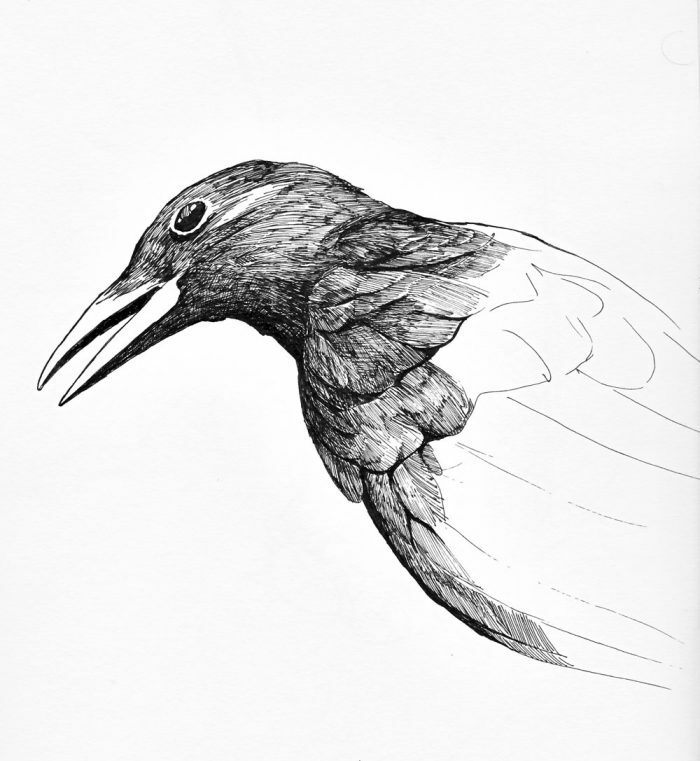 This entry was posted in Scanned Desksketch and tagged bird, Crow by Anthony. Bookmark the permalink.